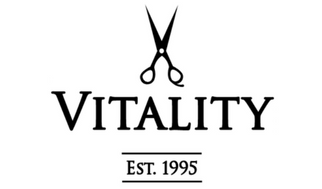 Vitality uses only the finest selection of salon products. At Vitality Salon, we strive to help you maintain a balance of relaxation, energy, inner calm, beauty and strength. We call this Vitality. Our team of skilled, caring professionals offers you, our valued customer, complete, consistent and customized service. Our commitment to quality, continuous education and impeccable service, sets us apart from the rest. We invite you to experience our comfortable, modern environment and special touches that have come to be our signature at Vitality. Come to Vitality for an excellent hairstyle, a few hours of pampering or a full day of rejuvenation. We find fulfillment in doing our best to make you look and feel your best. It's always a great day at Vitality. We thank you for spending it with us. Pioneers in aromatherapy - Essential oils therapy- , in phytotherapy – plants therapy-, phytembryotherapy – the therapy using vegetal buds-, all applied to skin care. The discoverers and creators of a unique beauty secret with unparalleled powers: an exclusive and treasured formula combining 5 essential oils with extraordinary synergetic properties. "Yon-Ka Quintessence", is the DNA of our brand.